Happy Sunday everyone! 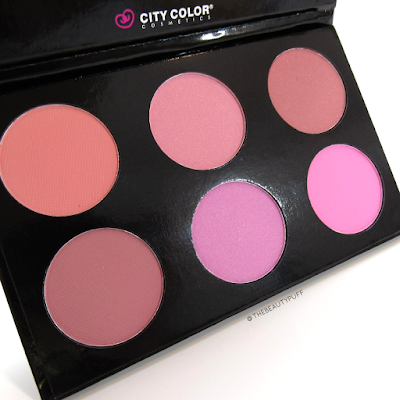 I just wanted to get some swatches up for you today from the new City Color collection. 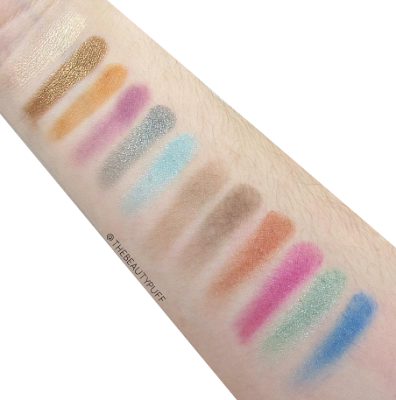 This summer City Color has released new Shimmer Shadows (read more here) as well as some new palettes. There are two blush palettes and an eyeshadow palette. 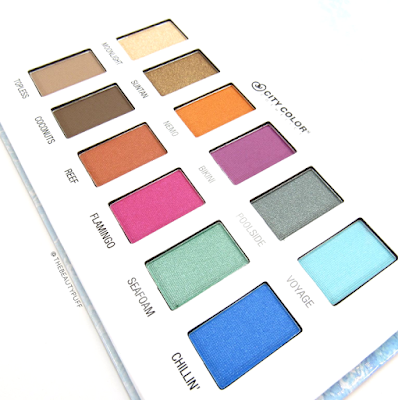 They're all gorgeous colors for summer that will really liven up your looks! 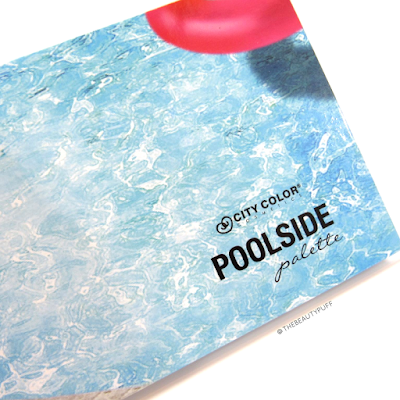 Poolside palette | A summery mix featuring neutrals and vibrant pops of color in both shimmer and matte formulations. I love that neutrals were incorporated so you can achieve a balanced look! The shimmer shadows really stand out to me. Moonlight, Suntan, Poolside and Seafoam are definitely my favorites! I wear Poolside a lot on the lower lashline and it's so pretty! This will definitely be my go-to colorful palette this summer. Blush Palettes | There are two new blush palettes to choose from, Collection 1 (above) and Collection 2 (below). 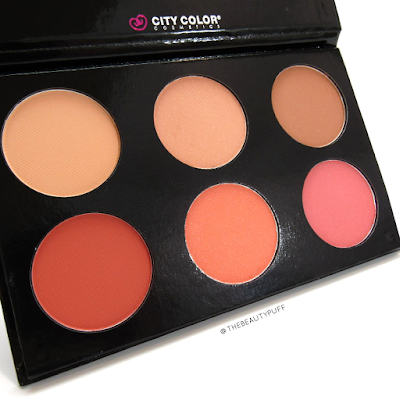 There's something for everyone in these shades, whether you prefer warm or cool toned blushes. All of the shades are smooth and very pigmented so I use a light hand or a duo fiber brush for application with these blushes. 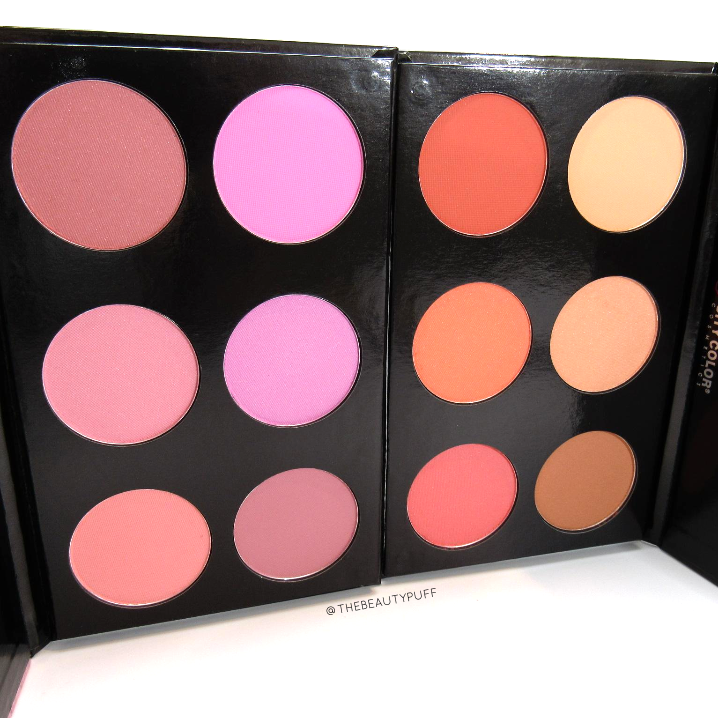 The bottom row in Collection 2 is a bit dark for my skintone, but there's a lot of versatility with these shades. 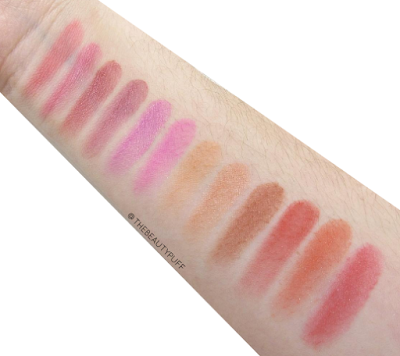 They could even be used as eyeshadow if you don't care for a particular shade as a blush! If you're looking for some new colors for summer or want an easy way to expand your makeup collection, I highly recommend checking out these palettes! Code THEBEAUTYPUFF saves you 10% at checkout!